A paddle boat accident in Burien on Sunday left one man dead and a woman critically injured, according to the United States Coast Guard. 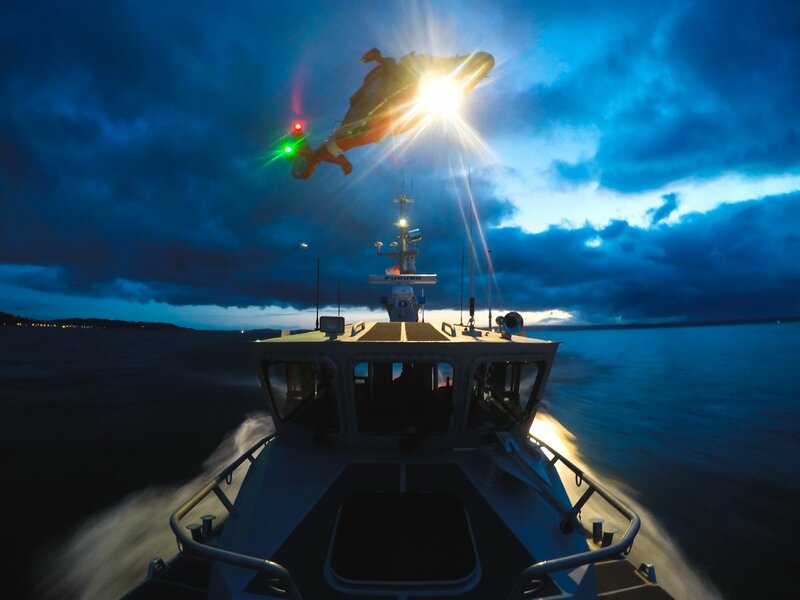 A helicopter crew and rescue boat crew responded to the incident after a call came in about 2:53 a.m. Sunday from dispatch. The incident occurred near Three Tree Point in Burien. A 15-foot paddle boat was reportedly beset by weather. Coast Guard personnel established communication with the people via cell phone and reported hearing a loud scream before losing connection. Aircrew found the capsized boat near Seahurst Park. At 4:51 a.m., the aircrew located an unresponsive female in the water. A boat crew was then called in, which transported her to the Fauntleroy Ferry dock where a local EMS crew was waiting. According to the Coast Guard, the female is reportedly in critical condition and is being treated at Harborview Medical Center in Seattle. More information about the man and woman has not been released at this time. In the case above, it appears the incident was caused by inclement weather. Bad weather is a major cause of capsized boats, and while modern boats are much better at coping with storms and rough waters than boats of the past, they are still vulnerable. Even when bad weather is the cause, a capsizing can sometimes be prevented. The negligence of the person in charge of the boat is oftentimes the root cause of a capsize accident. If the captain had knowledge that inclement weather was possible, and began the voyage anyway, that negligence could be key to a personal injury lawsuit. Boating accidents do not occur randomly. If you're searching for a way to recover damages after your boating accident, or you are having trouble negotiating with an insurance adjuster, you can turn to the boating accident attorneys at Davis Law Group, P.S. For nearly 25 years, attorney Chris Davis and his legal team has provided cost-effective, high quality legal services for people in Washington State. Davis Law Group provides top-notch representation and has the necessary resources to hold the proper people responsible. Don’t hesitate to contact our office today for a free case evaluation. Call (206) 727-4000, use the chat feature below or fill out the form on this page.